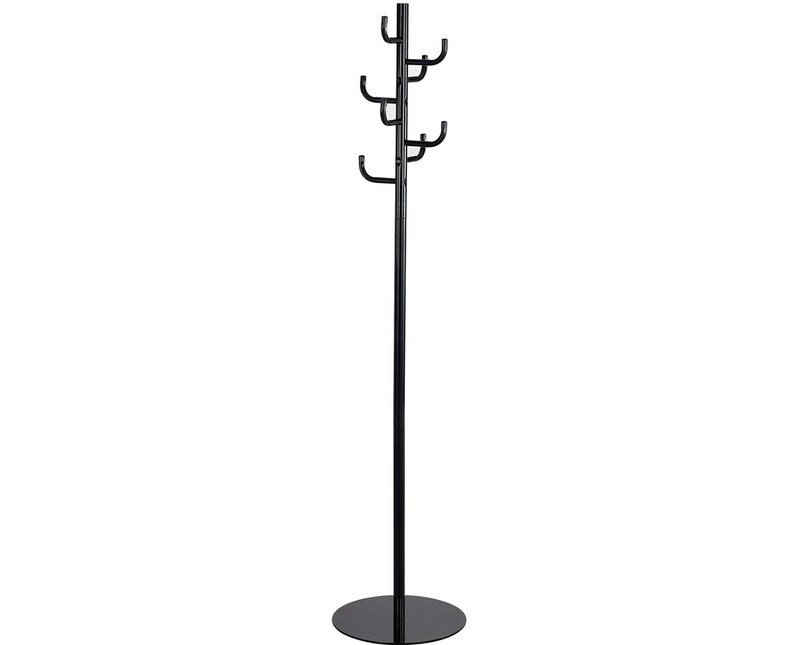 The Safco Hook Head Coat Rack is a sturdy rack for hanging coats, jackets, purses, hats and other garments that features a sleek look which makes it suitable for all interiors including private offices, lobbies, waiting areas and more. It has eight hooked arms with rounded edges to help protect garments. 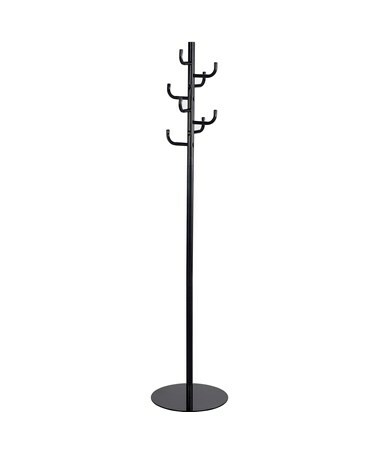 It is 68 inches tall and stands firmly on its solid 15-inch diameter base. 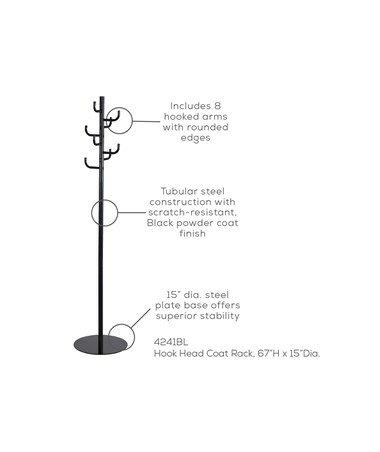 This rack is made of tubular steel with a durable black powder coat finish that makes it scratch resistant.